HOMECOMING PREMIERE IN CINEMAS IN ICELAND ON APRIL 10TH. The film Homecoming (Blóðberg) by Björn Hlynur Haraldsson will premiere on Channel 2 on the 5th of April. It will then have a cinema release on the 10th of April in Iceland. Gunnar, a sociologist in his fifties who has written countless self-help books lives in a beautiful house with Dísa, his wife of thirty years. Despite his expertise, their relationship is on the rocks and their attitude towards one another is becoming increasingly resentful and bitter. Their 25-year-old son and only child, David, comes back from a holiday with a new girlfriend, Sunna. Sunna is pretty, smart, polite and on the face of it, the perfect daughter in law. However, on meeting Sunna, Gunnar is forced to face a dark secret. Although his life’s work has been to instruct others on how to work through their problems, he seems incapable of dealing with his own dilemma. He starts to act strange and does all he can to sabotage his son’s relationship with Sunna. However, inch by inch, the noose tightens and finally he is forced to reveal his secret. Sunna is Gunnar’s daughter from a brief love affair he had when Dísa was pregnant with David. When his lover became pregnant he ended the relationship and hasn’t been in contact with his daughter since. Now, the secret is out. Björn Hlynur Haraldsson is an actor, writer and director of film and stage. He graduated from the Icelandic Drama Academy in 2001 and is co-founder of Vesturport, Iceland ́s most innovative theatre and film company. Film and TV credits as an actor include Fortitude (Sky Atlantic new drama series premiered in 2015), The Borgias (created by Neil Jordan), Jar City (by Baltasar Kormakur) and Deserted Cities (upcoming film by Mexican director Roberto Schneider) along with many Icelandic films and TV series. He wrote and directed the short film “Korriró” in 2011. 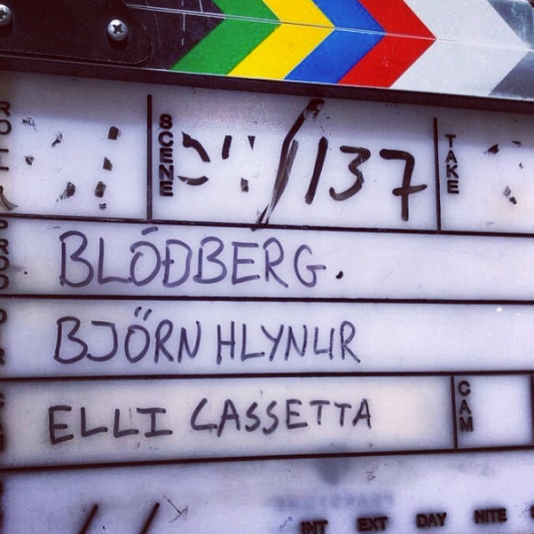 Blóðberg is based on Björn Hlynur ́s first stageplay and is also his debut for the screen. Rakel Garðarsdóttir has been the MD and producer for Vesturport since 2003. She has produced many plays in Iceland and around the world, including Romeo and Juliet, Woyzeck, Faust and Axlar-Bjorn. 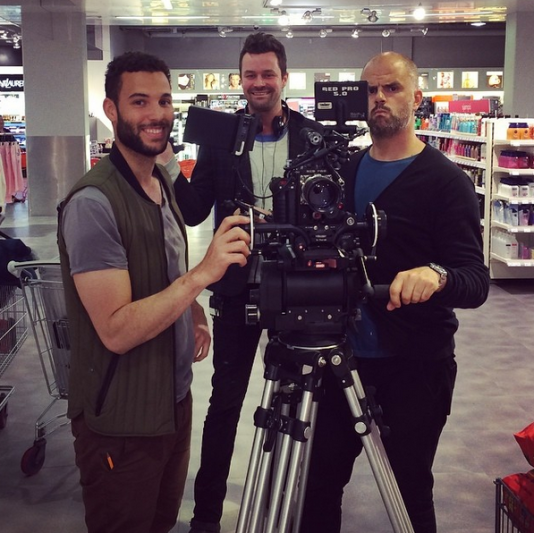 Rakel has also produced several movies, including Born and Foreldrar as well as the documentary films How do you like Iceland and Love is in the Air. She has produced a number of TV series, including “Hidden Iceland“ and “Journey’s End”. Ágústa M. Ólafsdóttir has a degree in finance and extensive international experience in finance and retail. 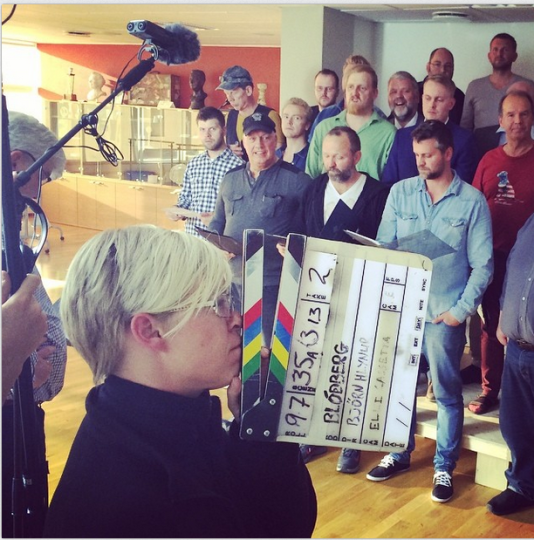 She studied documentary filmmaking and has worked for both TV networks and production companies in Iceland. She produced the TV series “Framandi og Freistandi“ and “Journey’s End“ as well as a number of live TV productions and advertisements.